HOW TO EAT HEALTHY ON BOARD? I was really excited to read this book. Not only is the cover gorgeous, but one of the main topics within this book is asexuality! I am all for diversity in books and I was quite keen to read it as I don't think I've read a book with an asexual main character. After a tragic accident tears her family apart, leaving her father dead and her brother in a coma, Victoria still has to try get through high school and into the Manhattan Dance Conservatory. One night things start to get a little easier. She meets a mysterious girl in her dreams who helps her come to terms with a lot of things. I wanted to love this book but there was just something missing. I liked the writing, but I felt the plot was a little empty. I know it's only 180 pages so there's not a lot of room for plot twists but I just needed something else. I really enjoyed the dream world aspect of the book, it reminded me of the book world in Between The Lines but a lot better. The characters were also a little... bland for my liking. I didn't really develop much of a connection to them which can really make or break a book for me. I feel like it would be better suited toward a younger audience, maybe 16-18 years old, as it's not too complex and has clear, easy to understand definitions of asexuality within. It's important for young people to see books with characters they can identify with and help them learn more about themselves and others around them. 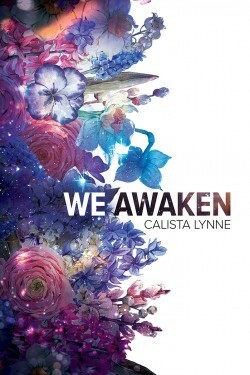 Overall I think it was a good first novel, and Calista Lynne should be proud of her work.